Home of Pete Nelson's photo tours of treehouses from Season 10 of Treehouse Masters on Animal Planet. It was so much fun to build for the legendary Shaquille O'Neal! Shaq asked for a treetop speakesay where he could gather with friends for card games and libations. We had so much fun building this dog-friendly treehouse! This backyard bungalow blurs the line between outdoors and indoors—the many windows, French doors, and ample deck allow the enclosed space to flow directly out to nature. It was so fun to build this medieval fortress for Ty and Ronnie in Texas. 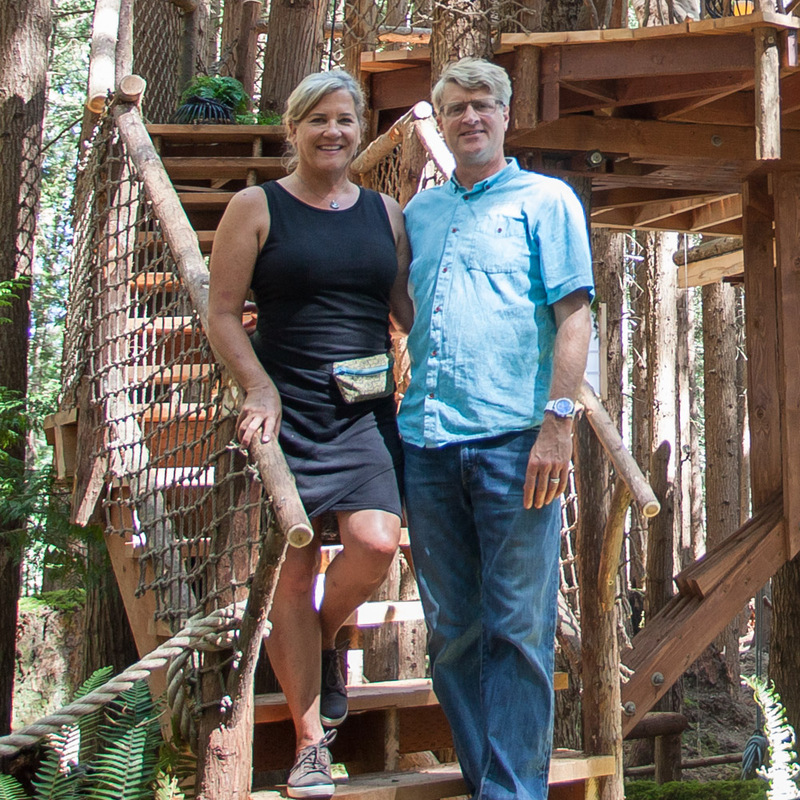 The couple are avid fans of Game of Thrones and longed to build their own treetop "war room" where they could dream up plans and gather with friends. The first of the four rentable treehouses at Treehouse Utopia, Chapelle is a resplendent riverside refuge. Everything about Chapelle is crafted for couples - a quintessential romantic retreat. From the lofty crow's nest, a sliver of the Mississippi River is visible. According to Nelson Treehouse carpenter Seanix, the crow's nest sways as though you were actually at sea. With a stage, cozy seating area, and bedroom loft, this treehouse makes the perfect place for performing and resting. Building this treehouse getaway for Lindy and her family during autumn in Maine was a beautiful experience.